A major element in achieving the goal of helping to create a better world is the work of the FNB Fund. The FNB Fund is a significant part of the FirstRand Foundation, which has a ten-year history of giving to the community. The Foundation focuses on the development and empowerment of the broader community through partnerships with best practice non-profit organisations nationwide. The aim of this initiative is to give tertiary education access to financially disadvantaged, yet academically strong students. This will ensure that FNB is playing a role in contributing towards the economic development of South Africa, as we create a larger pool of talent to enter the formal sector. Students need to contact the bursary service providers directly for more information on their application process, including application forms and closing dates. 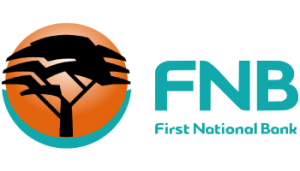 FNB has partnered with established bursary service providers to administer the bursary programme. The selected bursary service providers not only offer access to finance, but also support services to funded students. From foundation phase to tertiary education, our comprehensive investment in education enables the youth of South Africa to realise their potential and to be equipped to be able to contribute towards the economic development of their country. The Fund has identified a pressing need for greater access to tertiary education among financially deserving students who show strong academic potential. The Fund has therefore partnered with reputable bursary service providers to offer access to education, as well as providing extensive mentorship and support to the students. The bursary programme focuses on the provision of funds for students studying commerce and science degrees. There is no work-back or pay-back condition on the bursaries; these funds are a pure investment by FNB towards developing future leaders. Students need to contact the bursary service providers directly for more information on how to apply.